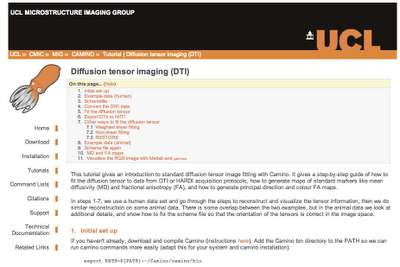 UCL has recently added a very comprehensive step-by-step guide to tensor fitting with their Camino software. 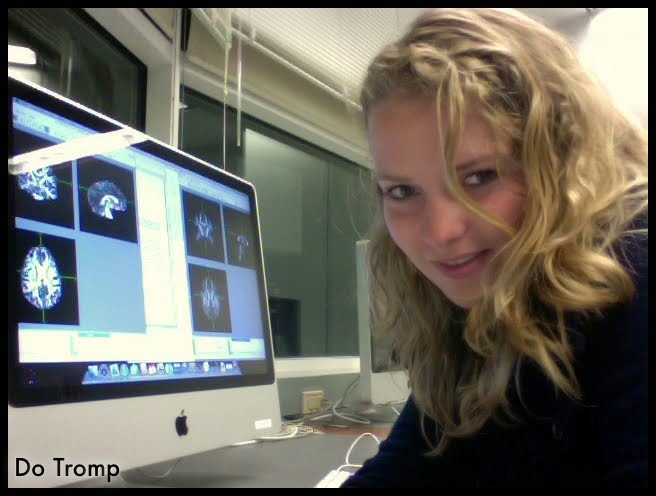 "This tutorial gives an introduction to standard diffusion tensor image fitting with Camino. It gives a step-by-step guide of how to fit the diffusion tensor to data from DTI or HARDI acquisition protocols, how to generate maps of standard markers like mean diffusivity (MD) and fractional anisotropy (FA), and how to generate principal direction and colour FA maps." "In steps 1-7, we use a human data set and go through the steps to reconstruct and visualize the tensor information, then we do similar reconstruction on some animal data. There is some overlap between the two examples, but in the animal data we look at additional details, and show how to fix the scheme file so that the orientation of the tensors is correct in the image space."